Melbourne Convention and Exhibition Centre is superbly located on the banks of Melbourne’s Yarra River, close to the heart of the CBD and just 30 minutes from Melbourne’s International Airport. 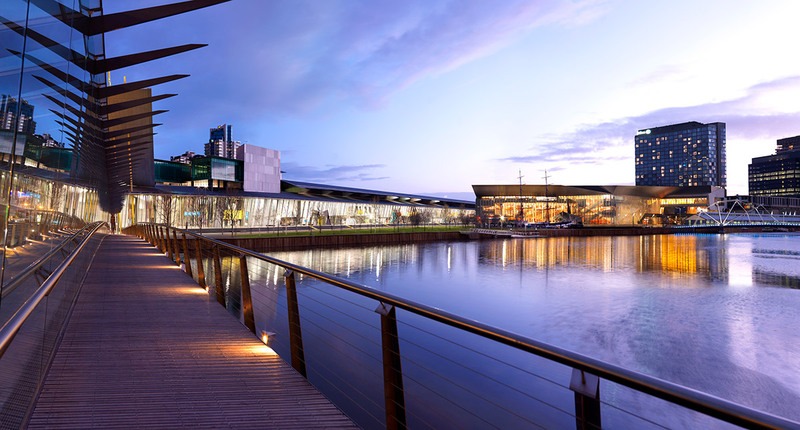 The new Convention Centre opened in June 2009 and was part of a $1.4 billion development in South Wharf that includes a Hilton Hotel, lifestyle retail precinct and shopping space. The venue is an easy walking distance from a range of accommodation options, which will be available to delegates to book at the time of registering for the Congress. MCEC was the first centre in the world to be awarded a 6-Star Green Star environment rating by the Green Building Council of Australia for the Convention Centre’s innovative environmental design and operational features. They also achieved their Gold EarthCheck Certification in 2016, following five years of continuous Silver accreditation. EarthCheck benchmarks their sustainability initiatives against other convention centres in Australia and by awarding them gold, has placed MCEC as a leader in a unique worldwide group of sustainable tourism operators. sustainable use of building materials.